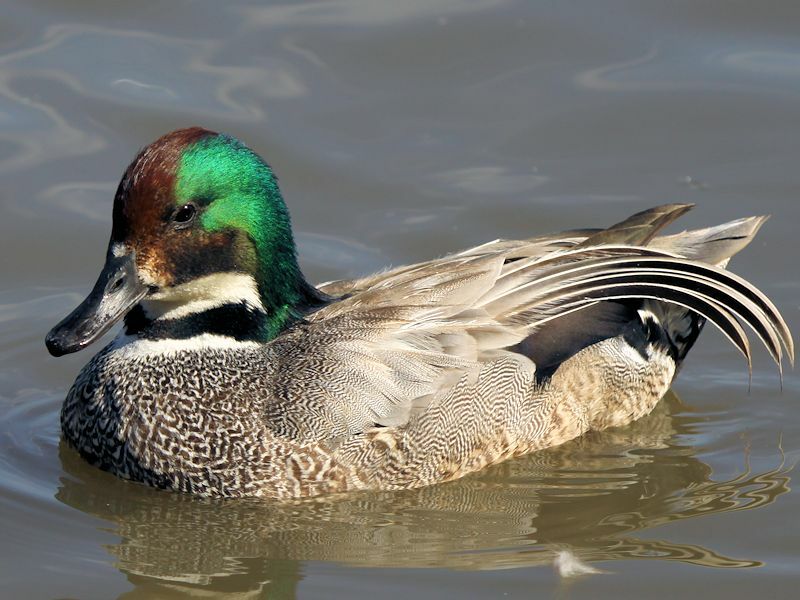 Central and Eastern Siberia, Lake Baikal, North Macnchuria and from the Yenesi River East to Sakhalin and Kamchatka. 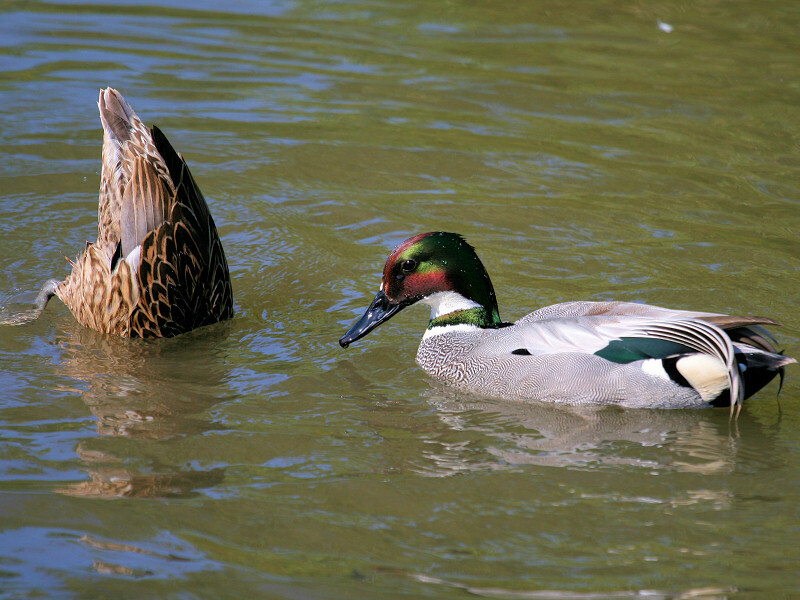 Also on Hokkaido Japan. 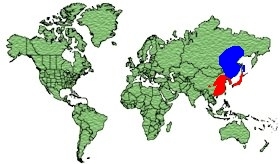 Winters in South Japan, East China, Taiwan, Hainan, Laos, Burma and South to Vietnam. 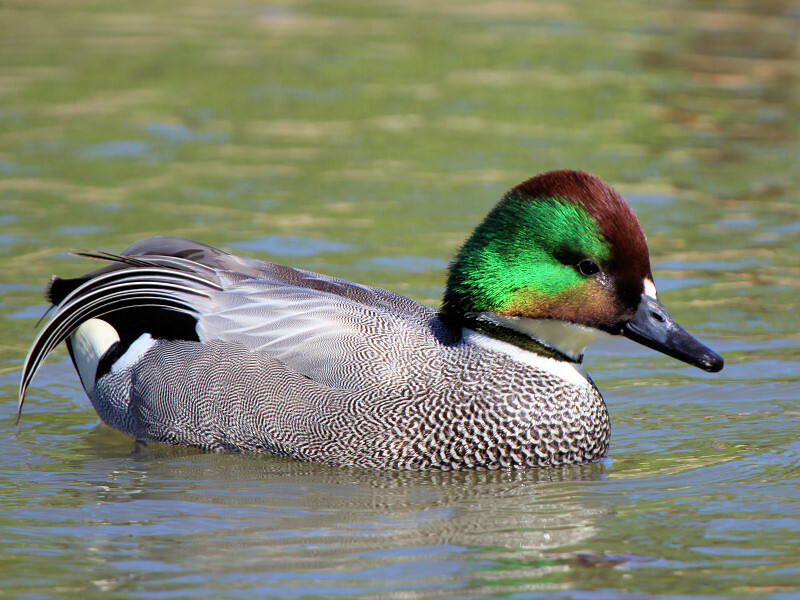 The body plumage is finely vermiculated Grey, with the long sickle-shaped tertials hanging off its back. 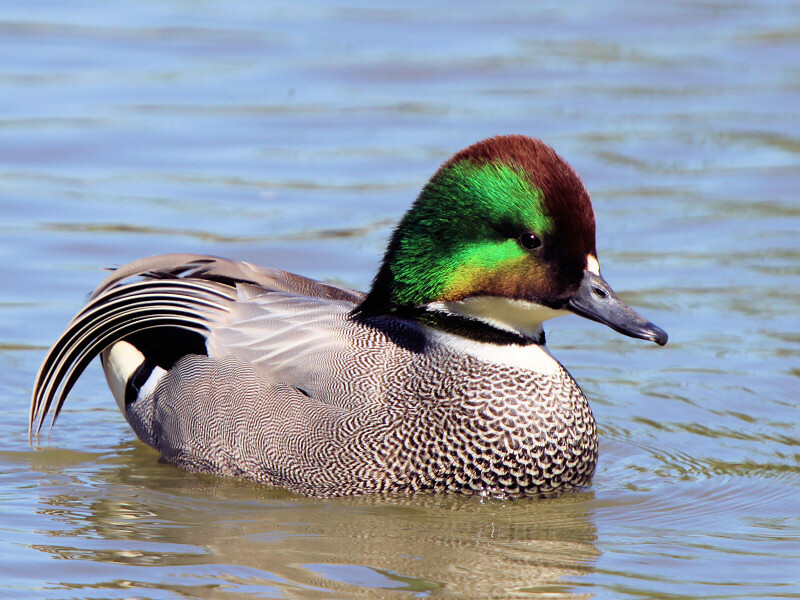 The head is Dark Green with a White throat, and a Dark Green collar and Bronzed crown.The vent region is patterned in Yellow, Black and White. 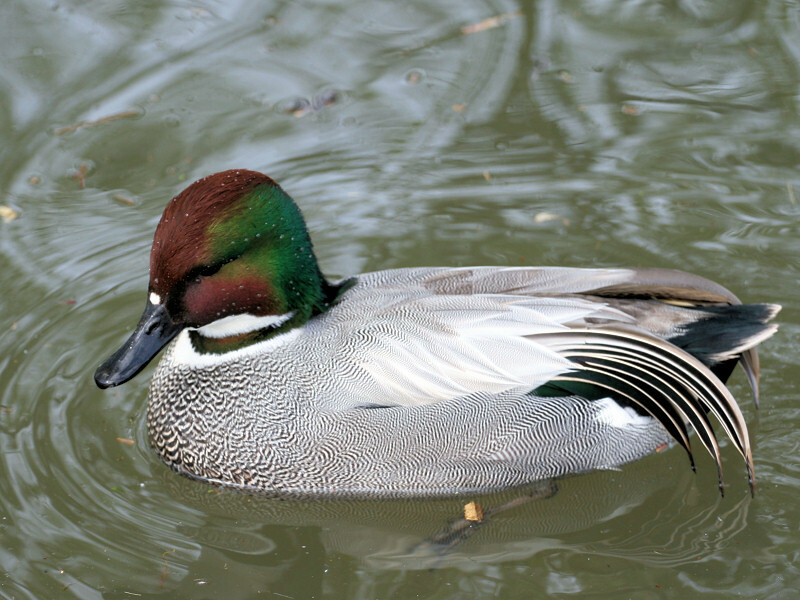 The female is Dark Brown with a Grey bill. 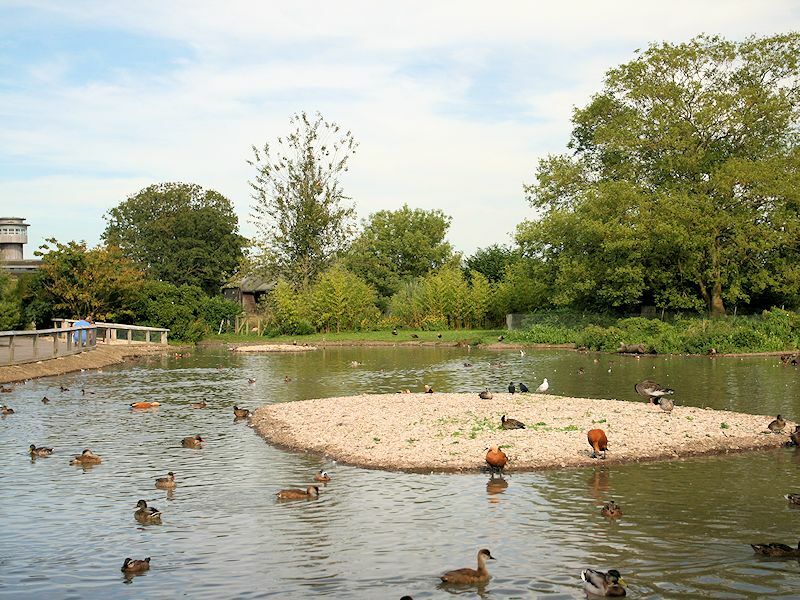 Wetlands, water Meadows and Lakes. 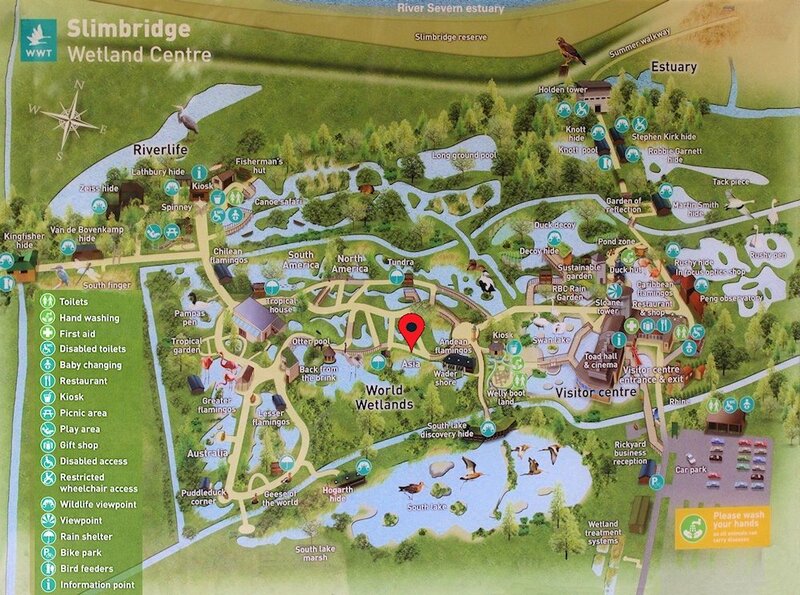 Vegetation, Seeds, Rice, small Invertebrates. 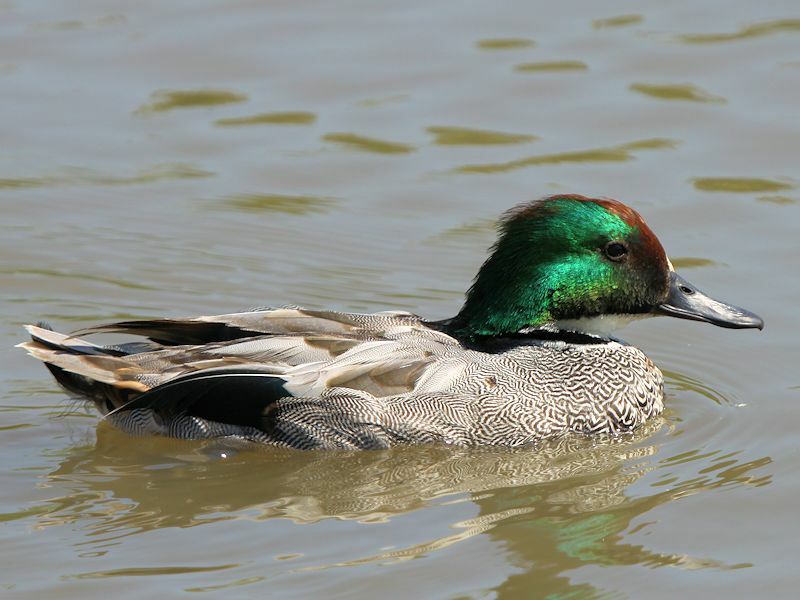 From May to early July. 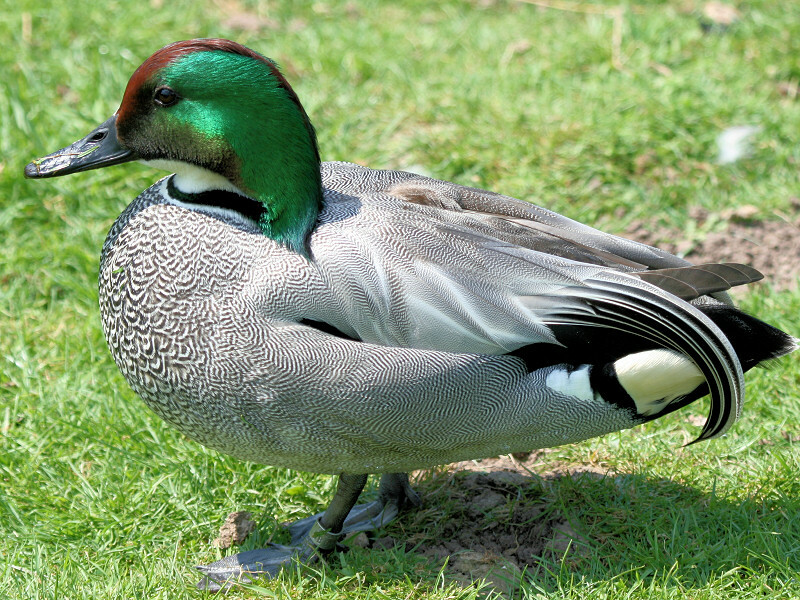 Nests on the ground near water, covered by vegetation. 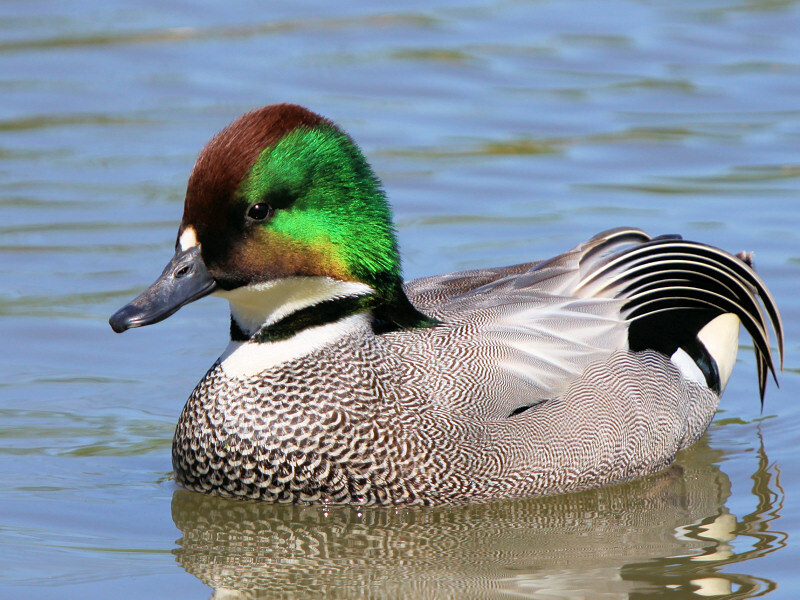 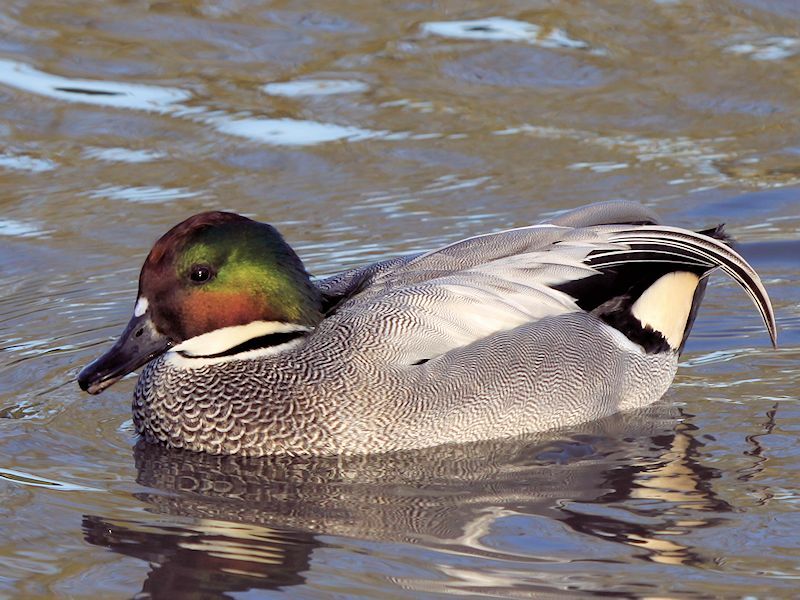 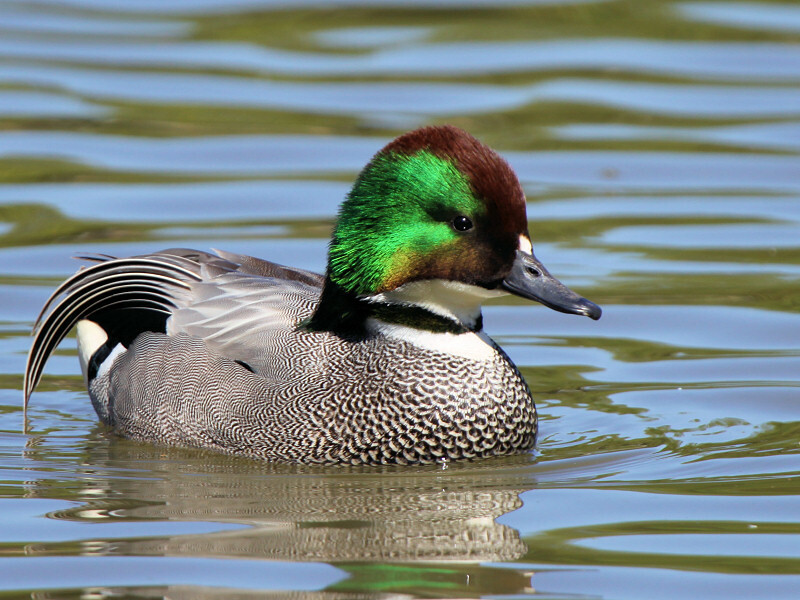 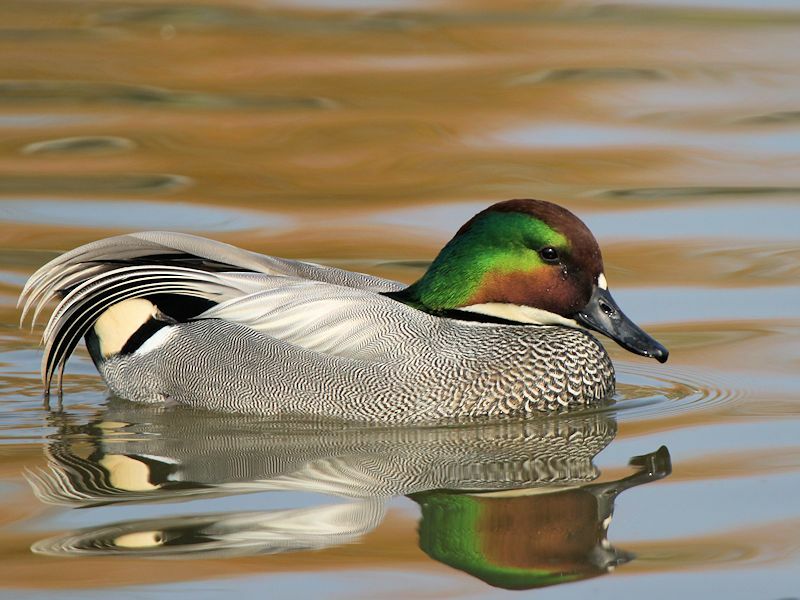 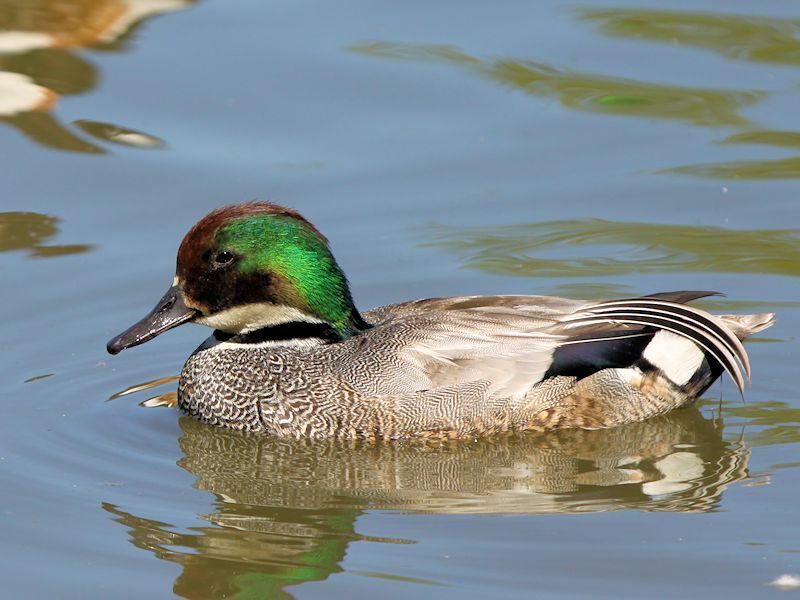 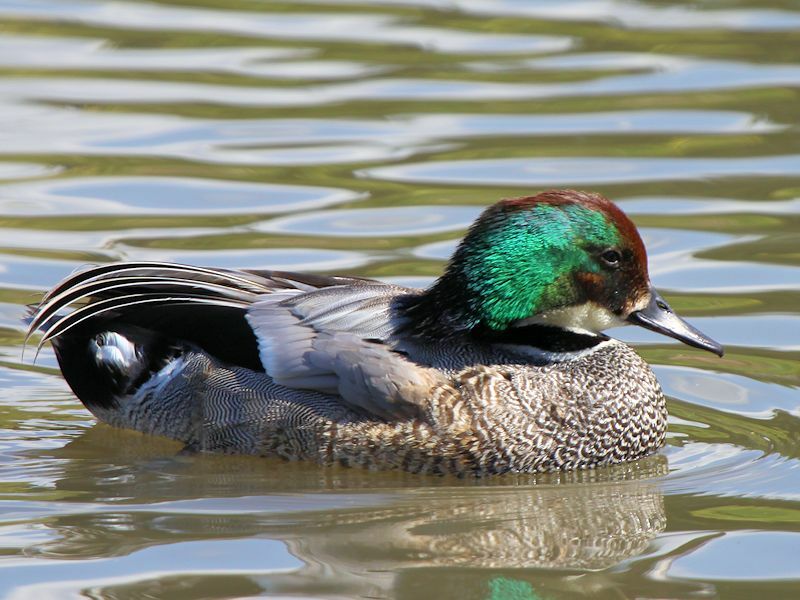 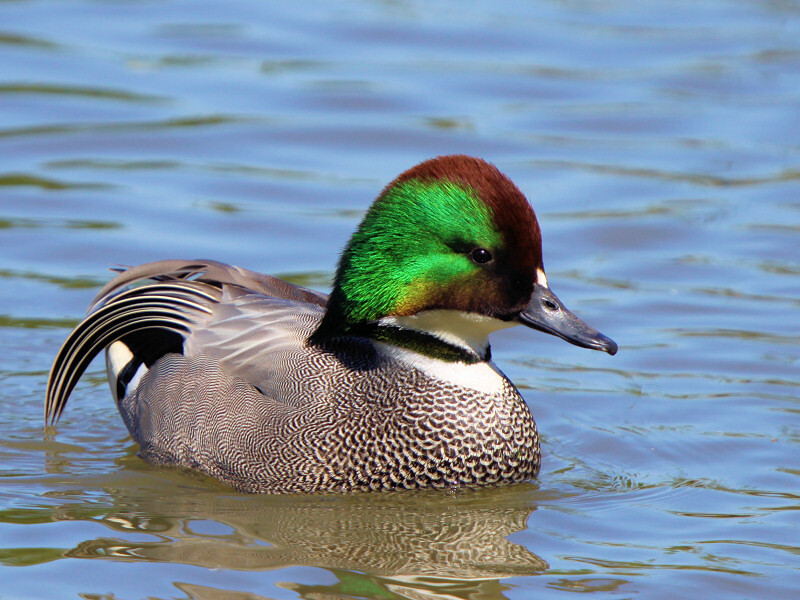 The Falcated duck is a dabbling duck with its closest relative being the Gadwall. 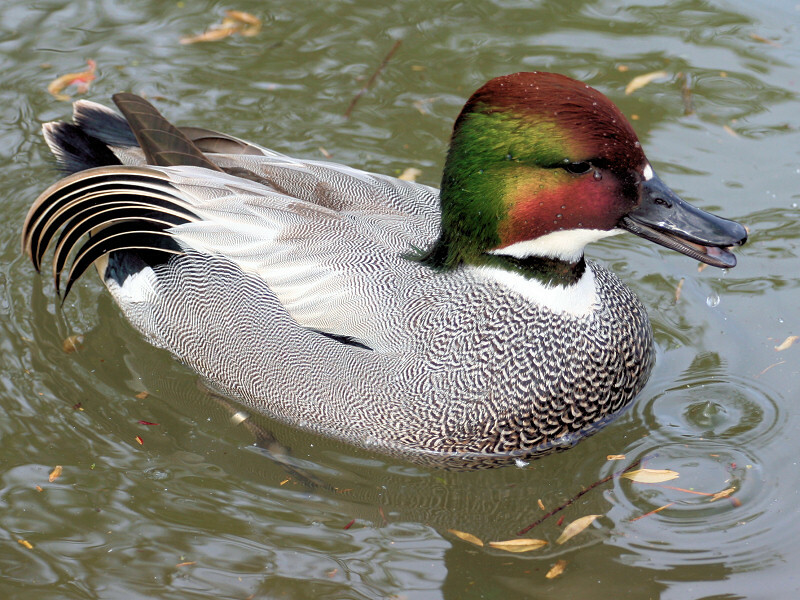 The Falcated duck has long sickle-shaped tertials hanging off its back which gives this species its name. 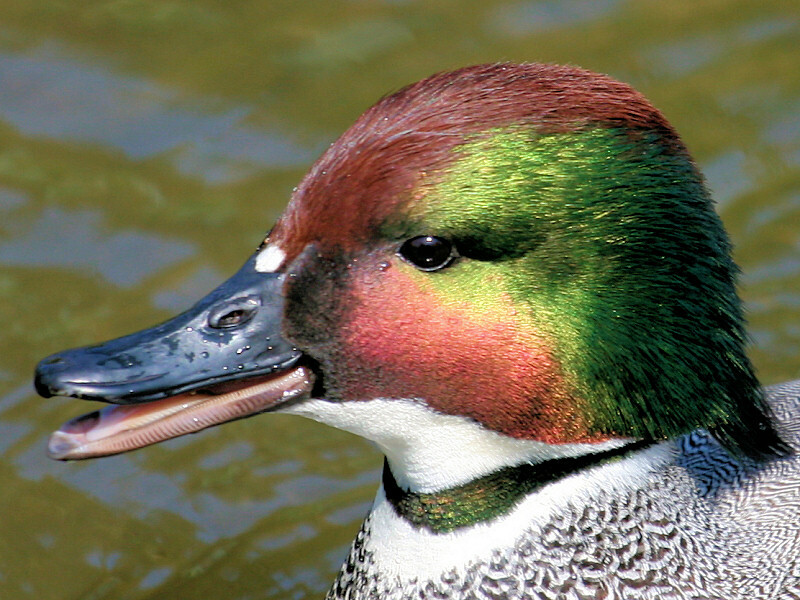 The male Falcated duck has a clear low whistle and the female has a gruff 'quack'.